What began with one school bus in 1958 has now grown to over 400 power units covering Eastern Ontario. It all started with the vision of Duncan McRae and Bernard Villeneuve who joined forces and founded Roxborough Bus Lines Ltd. Over the years it has remained a family operated business with each of Duncan and Bernard son’s, Daryl McRae and George Villeneuve carrying on the company business. In 2008 Nick McRae and Blaine Filion joined the ownership group and have taken an aggressive approach to growing the business into new markets. Roxborough Bus Lines has acquired numerous companies since its establishment in 1976 and currently operates facilities in Avonmore, Alexandria, Clarence Creek, and Greely and has grown to over 400 employees covering Eastern Ontario and the City of Ottawa. Roxborough attributes its growth to the success of its employees, its ongoing community involvement, relationship with the consortiums and more importantly its long-term outlook. We take particular pride in the fact that we have achieved tremendous growth while retaining a small company atmosphere. Roxborough Bus Lines is committed to providing safe, effective, efficient and healthy home to school transportation to more than 100 schools in the region. The company not only provides school bus service to students but to adults as well for a wide variety of occasions. During our 50 years in business, we have applied several different strategies to achieve our goals. Our growth has come as a result of through strategic and forward thinking acquisitions and success through the RFP process. Additionally, we have been successful by being strategic, hiring the best people and applying the best practices. Ultimately, we want to be known as the carrier of choice. First and foremost Roxborough Bus Line’s customer service strategy is in line with our Mission Statement: “Our number one priority is the safety of our passengers – the world’s most precious cargo!” In order to achieve this, we continually develop, communicate and apply safe practices. We are committed to developing strong partnerships with the consortiums we service. We define “commitment” as a dedication to being safe, on time, friendly and efficient. Our operating commitment is to achieve and maintain a safe, on-time performance rating of 98% or greater. To be successful, we need to focus on the key components to achieving excellent customer service which include the daily performance of drivers and buses, effective and timely communication and having the capability to immediately deal with abnormal situations. 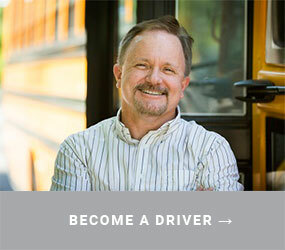 By taking care of our passengers we strive to become the leading school transportation carrier in the region. In order to continually achieve our targets, we review results on a regular basis through reports, delay notifications, issue logs and driver and customer surveys. Information gleaned from these reports is used to identify trends and allows us to be proactive whenever possible. Our success in attaining additional business through RFP’s continues to be supported by our financial institutions, providing further proof that our methodologies are working.